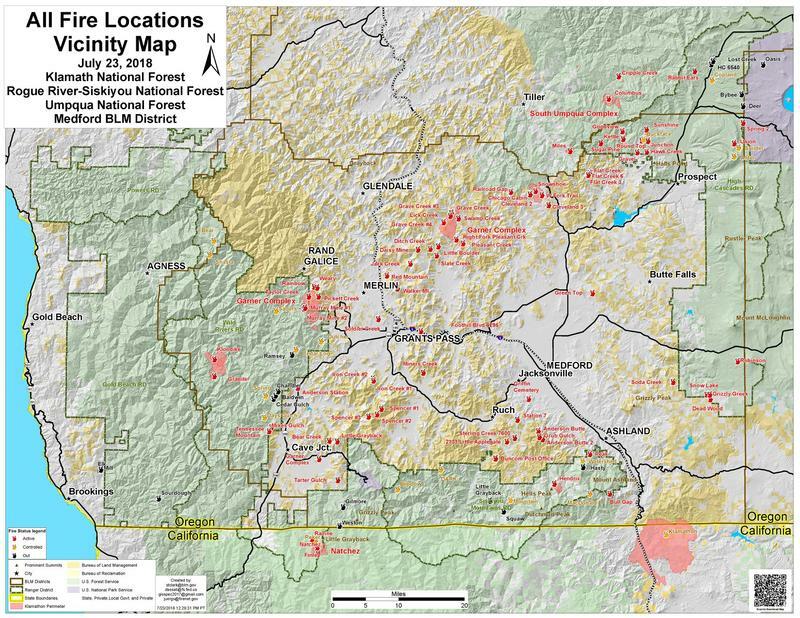 An updated map from a new unified information center for Southern Oregon Fires released Monday shows just how much work awaits firefighters. The map was published by SWOJIC, the Southwest Oregon Joint Information Center, set up over the weekend of July 21-22 in Grants Pass. The map looks like any map of the region, but with a case of measles. Every red blotch is an active fire. The Garner Complex fires, a collection of fires burning in Northern Jackson and Josephine Counties grew markedly in size from Sunday to Monday, topping 11,000 acres. Evacuation orders remain in place for several locations near the fires. But even if there were no Garner fires, there would still be a full schedule of work for fire crews. The Rogue River-Siskiyou National Forest announed that the air tanker base in Medford had already pumped 1,000,000 gallons of retardant by July 21st. Normally, that's an end-of-season number. But there figures to be a long season yet to come. Weather for the remainder of this week calls for temperatures above 100, with lightning showing up on lightning maps and more possible during the week. 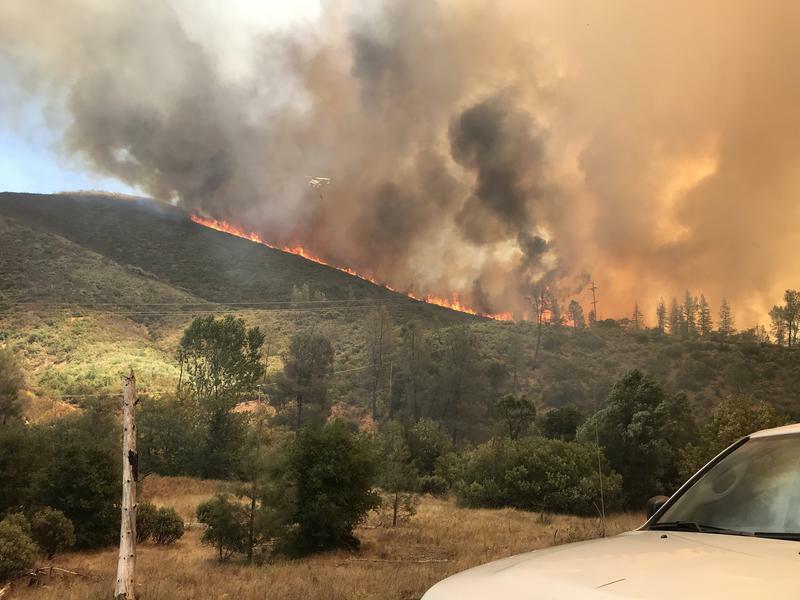 A new wildfire reported early Monday afternoon in Shasta County spread quickly, forcing evacuations and closing California Highway 299.